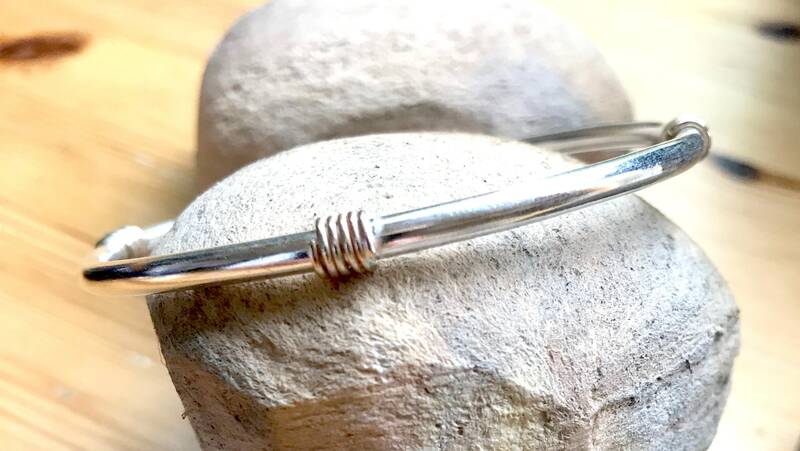 Substantial 3.5mm thick Sterling Silver bangle with 9 carat Gold wire-wrap detail. Diameter 6.5cm (see sizing information below) Fully Hallmarked. 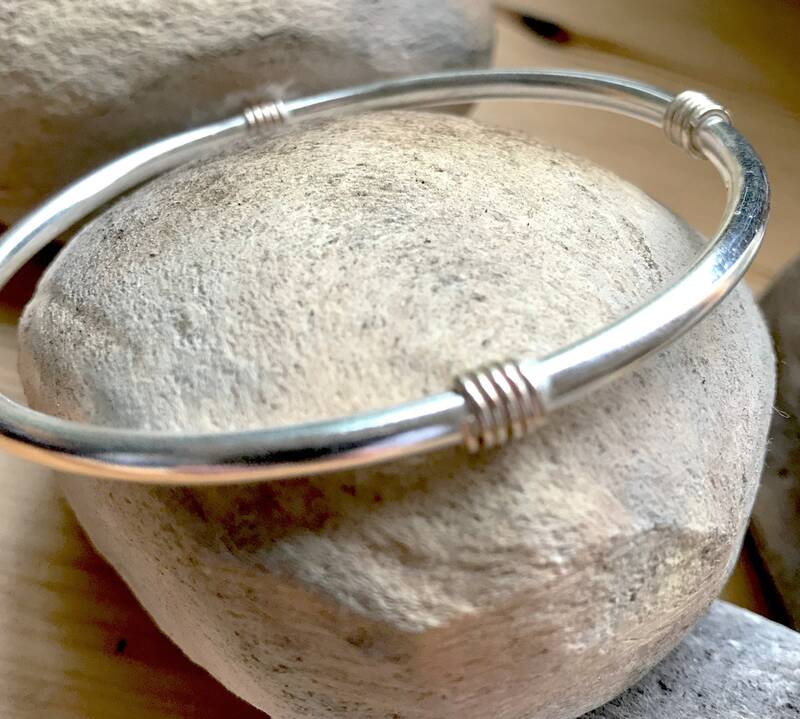 For sizing a comfortable Round Fit bangle, make a fist with your hand and measure the length between the first three knuckles on the hand the bangle is to be worn on. Measure the length from the outside of the first knuckle to the point between the third and fourth knuckle. For example, if the length between outside first knuckle (index finger) and space between third and fourth knuckle (ring and little finger) is 70mm then the diameter of the bangle you need is also 70mm..